– Read in the xml animation file for Earth and got it working. The original game has a complex animation system that can handle way more than most normal animation systems. 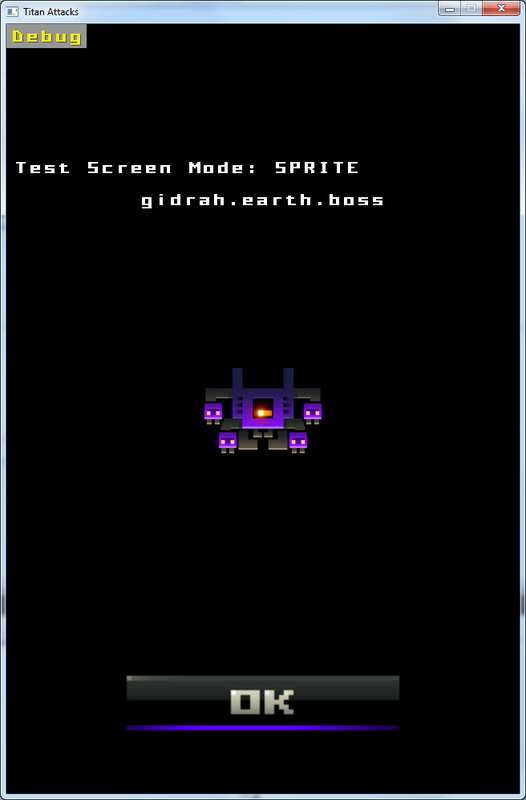 I’ve had to write code to read and interpret the xml file and make it work with my sprite engine. This was not easy and there’s still a lot to do. – Read in the xml sprite files for Earth and got it working. Each sprite, which I’m calling a “game object”, can be made up of several animated sprites, or even several other game objects. This was also pretty complex especially when some parts of a game object control other parts of a game object! – I made a test screen to show the animations and sprites that I’ve read in. This has proved very useful and I’ve made a video about it (see below). – Finally I made code to create individual “instances” (that’s a programming term) of a game object using a template that has been read in from the sprite xml file. The in-game aliens are now instances based on a template and you can see that they animate and blink in the video I made. This is my first developer video diary. In it I show of the game a little bit and then talk about the test screen I made to test animations and game objects (sprites). – Keep going with the xml interpretation code. There’s still a lot to do such as making the aliens move around, making them fire, making the player ship animate as it moves, making particle effects for firing etc. All of this is controlled via the vast xml files that Cas and Chaz (the original developers) made. So I’ve got my work cut out for me! This entry was posted on Tuesday, May 21st, 2013 at 10:59 am and is filed under Developer Diary, Videos. You can follow any responses to this entry through the RSS 2.0 feed. Both comments and pings are currently closed. I saw a link to your blog in the comments at blog.gambrinous.com. Great site, enjoyed the video. I created a mashup of top down space shooter and castle defense game to just mess around. They are fun games to play and create. The last few weeks I have been consumed with Unity. I tried playing with it a few times, then would get frustrated and go back to 2D games. LOL A couple weeks ago something in my head must have snapped, it all came together. What language or frameworks are you using? Sorry, LOL I just noticed you ise the Blitz Basic framework and created it. Cool. I purchased a copy of it years ago and use to enjoy working with it. I may have to try it again. Hi David, yeah I enjoyed using Blitz Max for many years and made the Grey Alien Framework. Now I’m using Monkey (also by Blitz creators) and am making a new framework though I probably won’t sell this one.